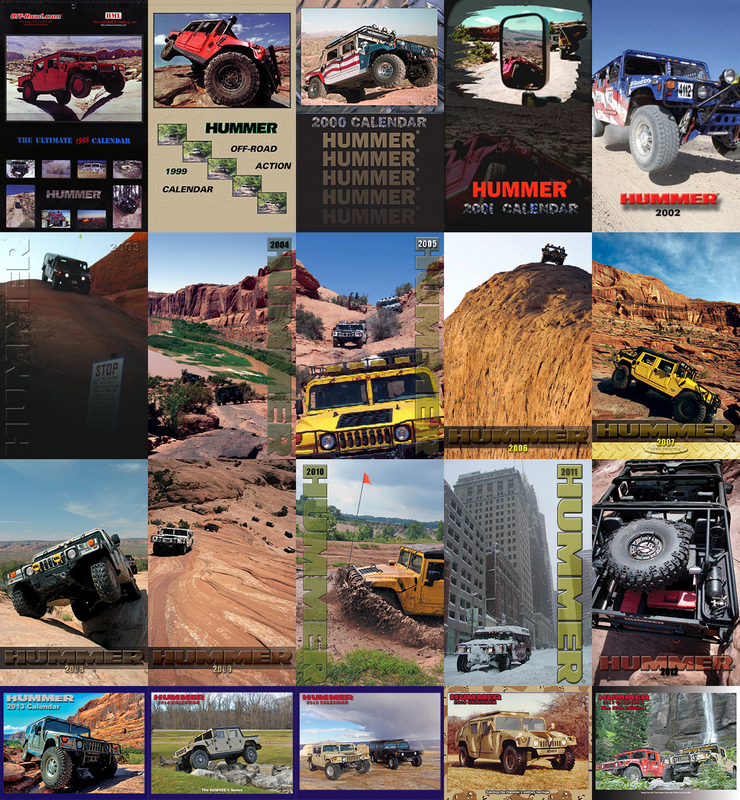 Although there had been a "virtual" (download and print) version of The Hummer Calendar previously, the print version was started by an HML member named Gerald L. in 1997 for the 1998 calendar year. Gerald, in conjunction with the HML (later to become The Hummer Network), published the Hummer Off-Road Action Calendar for the 1998 and 1999 calendar years. In late 1999, Gerald informed me that he was starting a new business and would not have the time to publish the Hummer Calendar any longer. I felt that there couldn't NOT be a Hummer Calendar for the milestone year of 2000, so decided to take over production and publishing of the Hummer Calendar. The result was the 2000 Hummer Calendar. The Hummer Calendar has been very popular and successful ever since. The first 20 calendar covers.